If you are the 'Luton Festival Of Transport' Show organiser and you would like to update or amend the details shown, please contact us. Thank you. When is the next Luton Festival Of Transport? Sunday 9th June, 2019. Luton Festival Of Transport is listed under June 2019 Shows. Although we try to keep the information for this event as up to date as possible, we cannot guarantee that things haven't changed at the last minute, and we haven't been informed. Therefore, please contact the 'Luton Festival Of Transport' event holder directly to confirm all details (especially event name, dates and location) before setting off to Farley Hill. 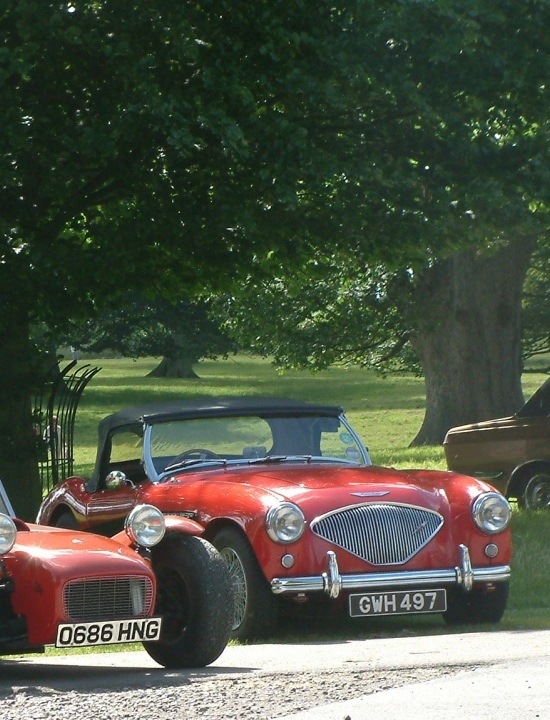 The Luton Festival Of Transport is planned to take place at Stockwood Park, Farley Hill, Luton, Sunday 9th June, 2019. You may reach the event organisers on 07852 948868. Annual event held in Stockwood Park, Farley Hill, Luton, LU1 5NT to help raise money for local charities, groups and clubs (last year we donated £5000). Approx 1000 vehicles of all types entered with prizes for class winners. Autojumble, charity and craft stalls as well as dog show, arena displays, entertainment, food, bar and trips to the local Vauxhall Museum. We ask for £5 pre-booking (£8 on the day) to support local charities and you can book via our website at www.cvpg.net.